Pupuls should learn prepositions of place. 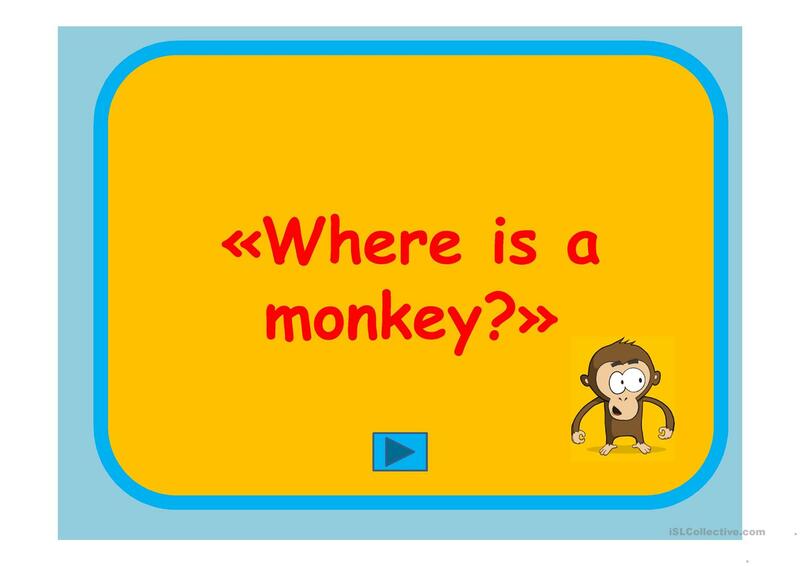 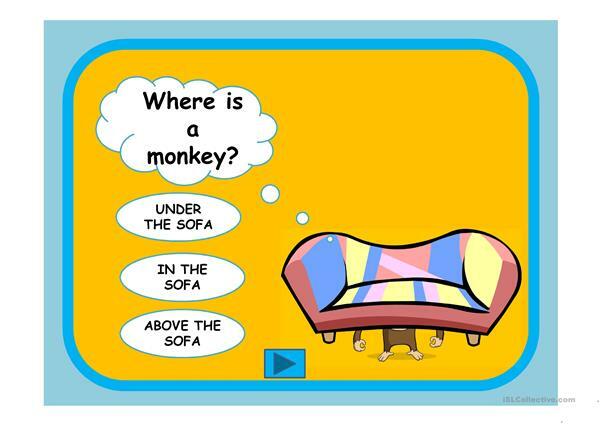 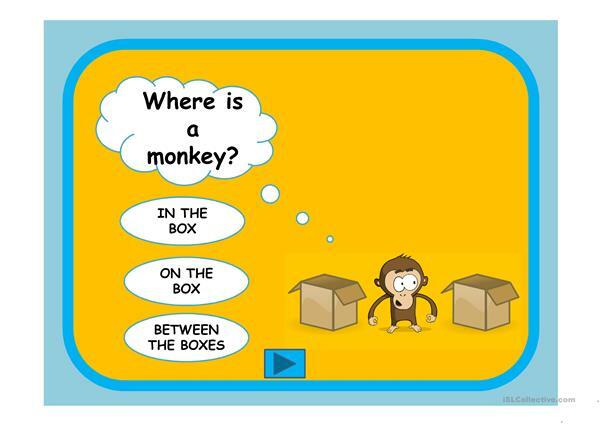 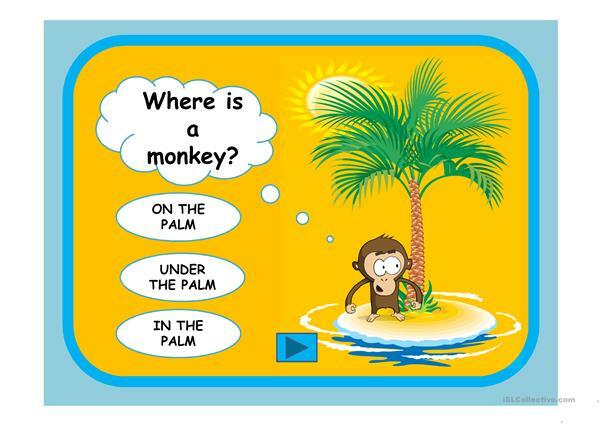 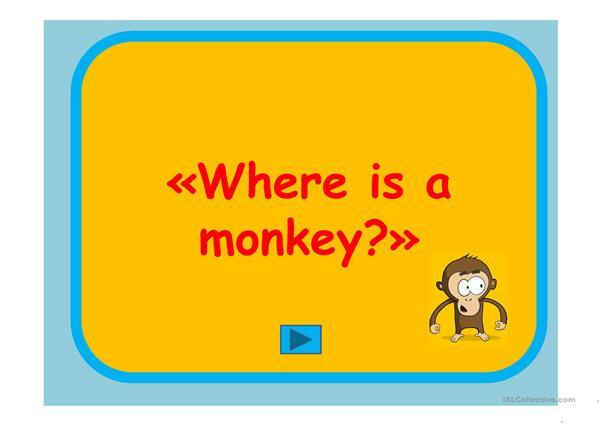 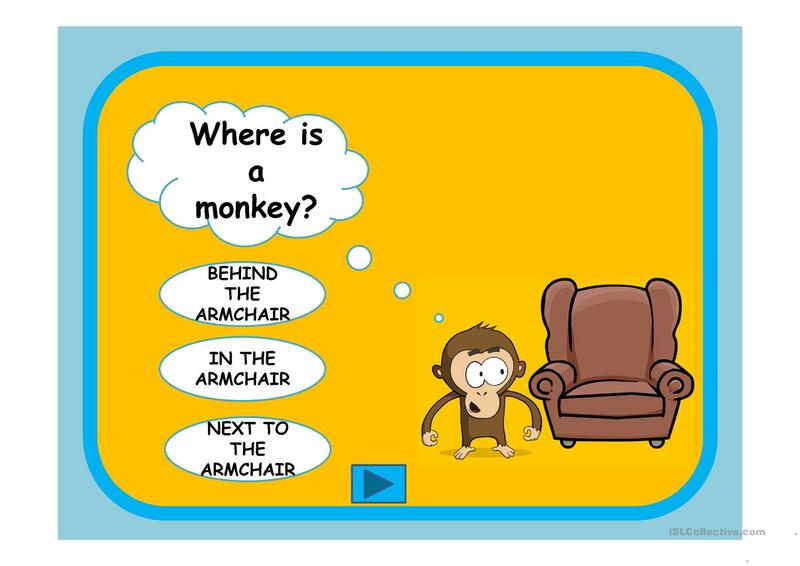 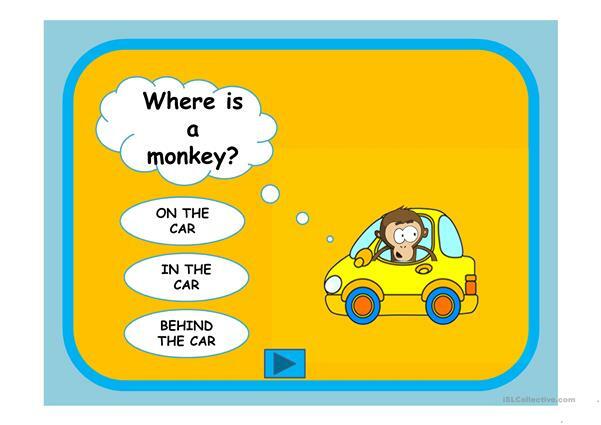 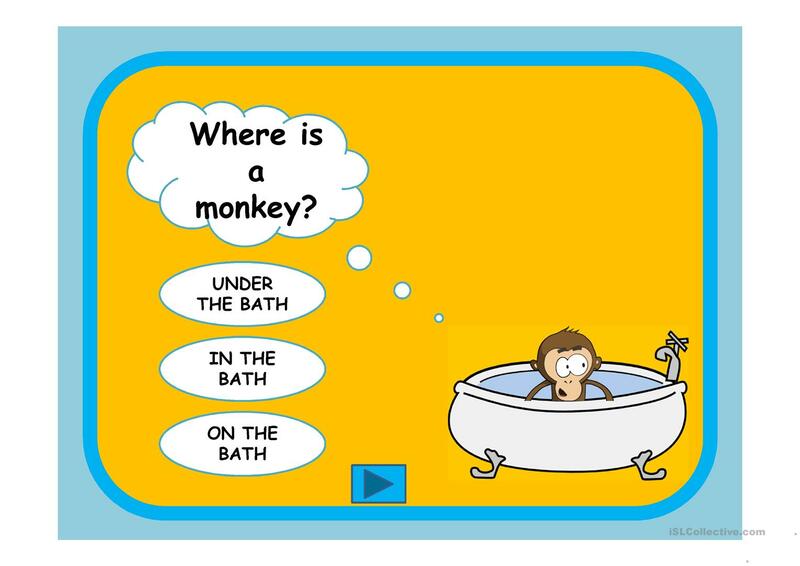 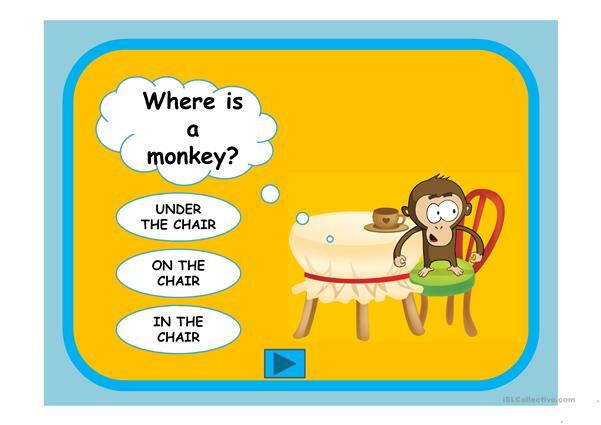 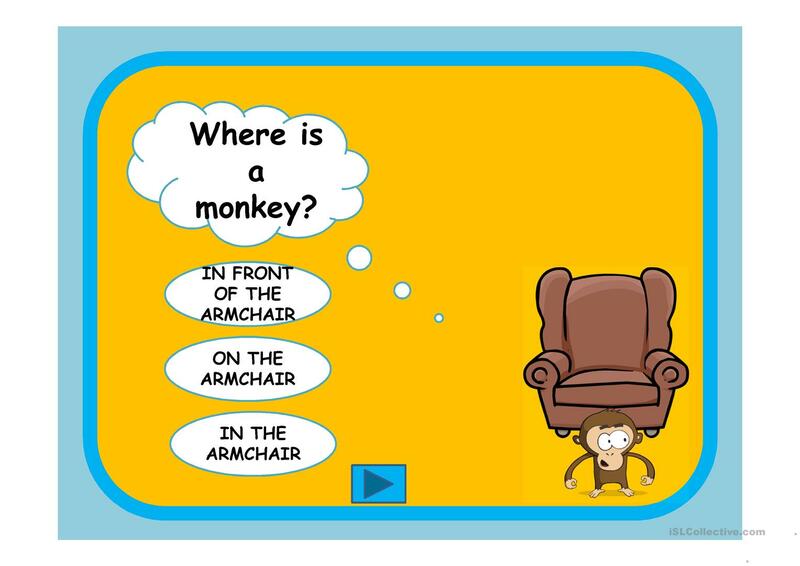 The task is look at the picture and say where is a monkey.Practice grammar skills. I hope you enjoyed this ppt and have fun. 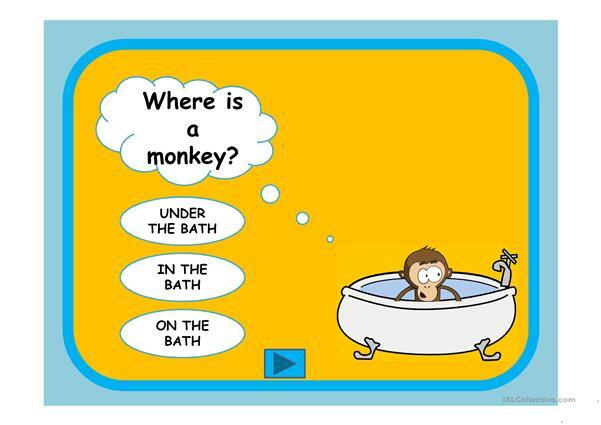 This downloadable handout is intended for elementary school students at Elementary (A1) level. 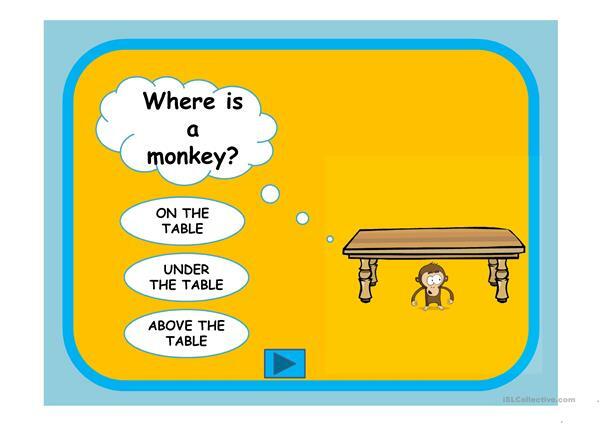 It is a useful material for teaching Prepositions of place in English, and was designed for improving your students' Speaking skills.